Below you fill find all funeral homes and cemeteries in or near Van Buren. Suburbs of Van Buren: Chicopee, Eastwood, Garwood, House Creek, South Van Buren. Van Buren is also known as: South Van Buren, South Van Buren, Missouri, and Carter County / Van Buren town. Zip codes in the city: 63965. It was written by Current Local on January 3rd, 2019 that Jimmy Hager passed away in Van Buren, Missouri. Hager was 74 years old. Send flowers to share your condolences and honor Jimmy's life. It was reported on December 27th, 2018 that Tolman Arthur "Mac" McCarty passed away in Swartz Creek, Michigan. McCarty was 83 years old and was born in Van Buren, MO. Send flowers to share your condolences and honor Tolman Arthur "Mac"'s life. It was reported by Current Local on December 13th, 2018 that Shirley Lynn Cline (Cookson) died in Van Buren, Missouri. Ms. Cline was 68 years old and was born in Rock Hill, SC. Send flowers to express your sympathy and honor Shirley Lynn's life. It was revealed by Current Local on November 22nd, 2018 that Raymond Sanders perished in Van Buren, Missouri. Sanders was 96 years old. Send flowers to share your condolences and honor Raymond's life. It was disclosed by Current Local on November 8th, 2018 that Cordell Smith perished in Van Buren, Missouri. Smith was 78 years old. Send flowers to share your condolences and honor Cordell's life. It was noted by Current Local on October 18th, 2018 that Jewell Vernita House (McSpadden) perished in Van Buren, Missouri. Ms. House was 96 years old. Send flowers to share your condolences and honor Jewell Vernita's life. It was revealed by Current Local on October 4th, 2018 that Allen Leroy Greenman passed away in Van Buren, Missouri. Greenman was 88 years old. Send flowers to express your sympathy and honor Allen Leroy's life. It was written by Current Local on September 27th, 2018 that Ava Louise Reynolds (McManus) perished in Van Buren, Missouri. Ms. Reynolds was 84 years old. Send flowers to share your condolences and honor Ava Louise's life. It was reported by Current Local on September 20th, 2018 that Cleo Wyman Gulley died in Van Buren, Missouri. Gulley was 91 years old and was born in Lepanto, AR. Send flowers to express your sympathy and honor Cleo Wyman's life. It was written by Current Local on September 20th, 2018 that Arthur Raymond "Pete" Moss passed on in Van Buren, Missouri. Moss was 78 years old and was born in Jonesboro, AR. Send flowers to express your sorrow and honor Arthur Raymond "Pete"'s life. The city was organized in 1830 and was named for United States Secretary of State (and later President of the United States Martin Van Buren. The population was 845 at the United States Census, 2000 census, at which time it was a town. 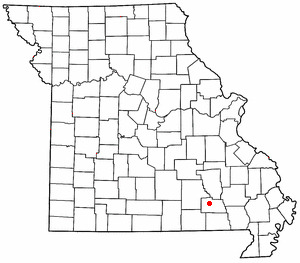 Van Buren is a city in Carter County, Missouri County, Missouri, United States. It is the county seat of Carter County, Missouri County . .
Schaefer of Lake St. Louis, Mo. ; a son, Charles E. "Charlie" Raef Jr. of Van Buren; a brother and sister ... and many nieces and nephews. Funeral Mass will be at 11 a.m. Wednesday at Immaculate Conception Catholic Church in Fort Smith. Visitation will be held Wednesday, Oct. 27, from 5 p.m. until the time of funeral ... was born Oct. 1, 1924, a daughter of D.A. and Lona May (Day) Nelson at Van Buren, MO. Funeral Mass will be 11 a.m. today at Immaculate Conception ... She is survived by a daughter, Glenda Schaefer of Lake St. Louis, Mo. ; a son, Charles Raef Jr. of Van Buren; a brother, Gilbert Sponel of Dardanelle; three grandchildren and four great-grandchildren. Wittich-Riley-Freers Funeral Home, 1931 Houser St. Online condolences ... the daughter of Gene and Hazel Sheets Alexander of Keosauqua. She was a graduate of Van Buren Community High School in Keosauqua and attended Iowa Wesleyan College. Find a Funeral Home inVan Buren, Missouri MO to provide the caring burial and ceremonial services your family deserves. McSpadden Funeral Home, Van Buren, MO : Reviews and maps - Yahoo! Local, 573.323.4222. Get Ratings, Reviews, Photos and more on Yahoo! Local. Listing all funeral homes in Van Buren, Arkansas so you can easily send flowers to any location (same day delivery) or find any funeral service. We work with local florists and flower shops to offer same day delivery. You will find budget sympathy flowers in Van Buren here. Our funeral flowers are cheap in price but not in value.